Every story needs a problem to solve. So, Panda turns the tables on the story narrator and gives the narrator a problem…him! 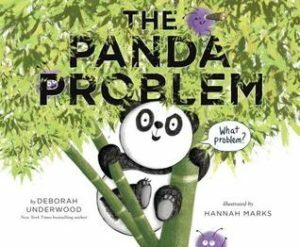 The story gets a bit out of control, but young readers will enjoy Panda’s crazy antics. The cute illustrations will also delight.